You can feel the excitement within the halls of CAS. The whole MSU school of journalism is gearing up…. 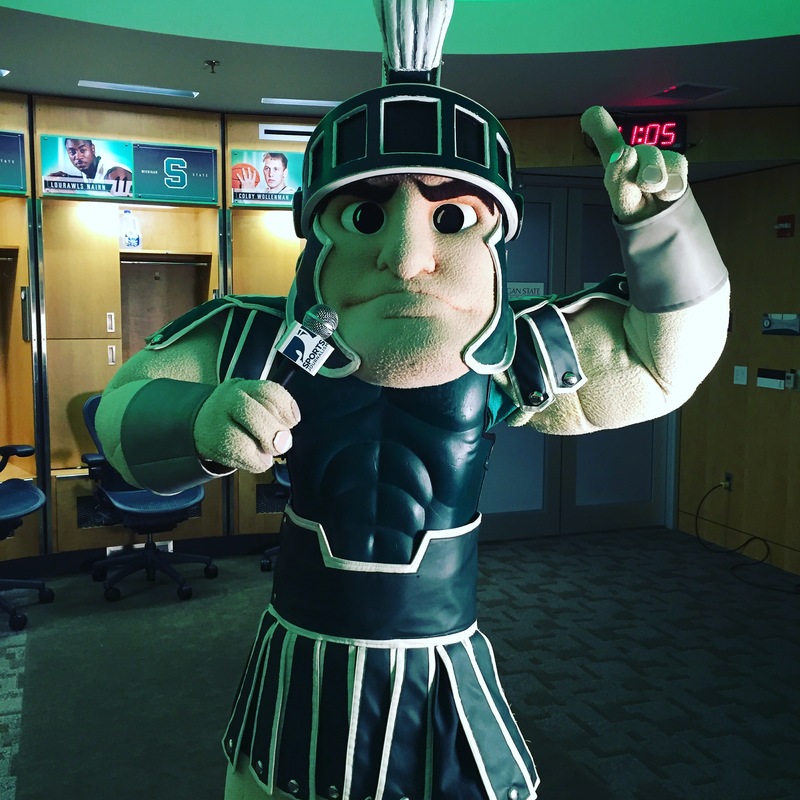 Come Friday, the Spartan Sports Journalism Classic will be doing a big takeover – nearly 50 alumni, more than 120 students, and an amazing day of networking, coaching, learning, and Michigan State sports JRN can-do. At 4 p.m., the public is welcome to attend our panel discussion on social media and sports journalism. MSU grads Steve Smith (NBA/TNT), Mario Impemba (FS Detroit), Mark Hollis (MSU Athletics), Becky Hudson (espnW) and Kelly Thesier Schultz (LPGA) will share their insights. The panel will be held in the WKAR studios at CAS, and also live streamed on msu.edu. We can’t wait for Friday. Why?